My fourth course at Walden University is coming to a close and we've been asked to reflect upon the experience in our professional blogs. I have chosen to do this in a bullet-list style format, using the questions provided to us by Walden. In what ways has this course helped you to develop your own technology skills as a professional teacher? I came into this course with a pre-established set of very advanced technology skills, including years of experience with Google Apps, Skype, wikis, blogs, website building, etc. I also have the great fortune of teaching at a school where technology has been a primary focus for several years, and where we already have a largely successful BYOD program and a tech-heavy professional development program for teaching staff. In fact, my role as an instructional coach in my district requires me to develop and teach many of the courses within the PD program, as well as serve as tech support and a liaison between the Information Systems Department and instructional staff. The course text, Blogs, Wikis, Podcasts, and Other Powerful Web Tools for Classrooms, was actually written by the former supervisor of Instructional Technology at Hunterdon Central--my school district--and reflects a lot of the kinds of tools HCRHS was already using at the time. Will Richardson's basic explanations of technology tools and applications thereof were therefore somewhat overly simplistic and outdated for me, especially in comparison to the newer professional development programs we've been running in our district since his departure more than five years ago. That said, I was grateful for the opportunity to create a podcast--the one thing I hadn't yet tried out yet. I struggled quite a bit with Audacity, the software program suggested to us by our instructor, Dr. Chunzhen Xu, and widely used by instructional staff in my school. Being forced to figure out a brand new piece of technology and do something formal with it in a relatively short time span is something our kids and colleagues experience quite frequently; I therefore found it beneficial to have to learn from scratch, seeking out YouTube tutorials and asking teacher friends for help. I was ultimately unable to significantly enhance my own technology skills via this course; however, I definitely appreciated being reminded that, as an instructional coach, I will need to keep the "basics" in mind as I continue to help my colleagues and students in the future. In what ways have you deepened your knowledge of the teaching and learning process? This was another area where I felt like I was ahead of the game already. At Hunterdon Central, we are already deeply invested into guided inquiry classrooms, project-based learning and 21st Century Skills. Each department has had significant training on the Common Core Standards, as well as how to develop the curriculum in such a way as to reflect the most modern pedagogical practices. It is not at all uncommon to walk into our classrooms and see "facilitators" rather than "teachers", as described by Dr. David Thornburg in his instructional videos. We also do not ban websites or cell phones at school; in fact, we encourage the liberal and open use of all kinds of technological devices throughout the school day. We do not have the kinds of problems that Marc Prensky describes as being common in districts where the focus is on creating a wall of protection against inappropriate behavior rather than teaching information literacy skills and guiding students to become good digital citizens. I did find the articles I read each week in this course to be incredibly helpful in the sense that they strongly supported what I am already doing, and because they gave me concrete reasons as to WHY we should integrate technology and 21st Century Skills into public education. Bates, R., & Phelan, K. (2002). Characteristics of a globally competitive workforce. Advances in Developing Human Resources, 4(2), 121. Keengwe, J., Onchwari, G., & Wachira, P. (2008). The use of computer tools to support meaningful learning. AACE Journal, 16(1), 77–92. I will very likely use the pieces by Bates and Phelan, Friedman and Levy and Murnane in my actual courses with my students, who I feel would benefit from hearing someone else articulate the WHYs of what we are doing in my classroom. I would also like to share the whole list with my colleagues and in professional learning communities so as to brainstorm and discuss the ways we can continue to apply these methods in our own classes. In what ways have you changed your perspective from being teacher-centered to learner-centered? 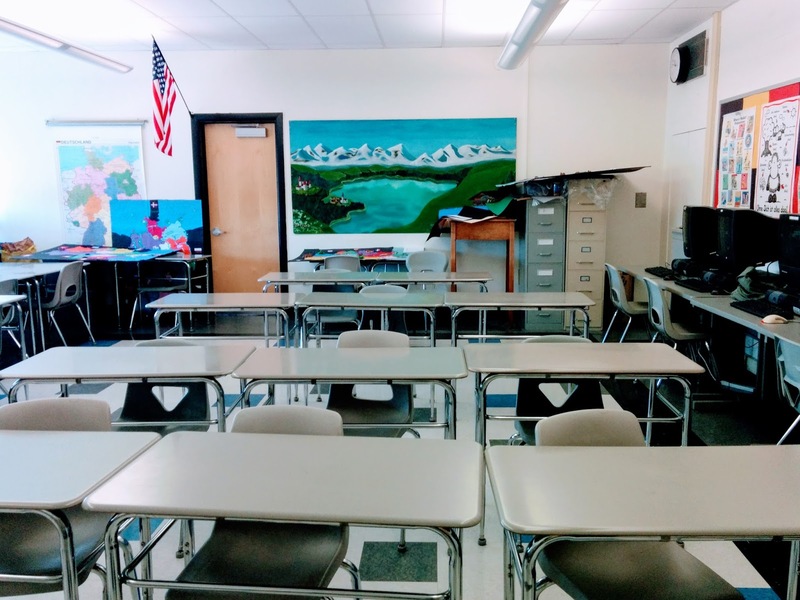 Changing my perspective from one of a teacher-centered view to a learner-centered view actually began in 2008, when I first started working at Hunterdon Central. I have a Spanish teacher colleague who told me back then that "if the kids can do something, you shouldn't be doing it." By "something", he meant "anything", including making rubrics, suggesting assessment formats, providing peer review, establishing a centralized online location for notes and resources, etc. It was really scary at first to relinquish control of so many things that I used to think of as "my" work to my students, but my colleague's great reputation among his kids, their parents and the community convinced me it was worth a try. I also really envied him for having what seemed to be a huge bulk of extra time in his day--a result of having cut a lot of his own busy-work out of his routine. I started small, by allowing students to create their own worksheets or do their homework in a flexible way. Five years later, I now regularly appoint students to be in charge of maintaining the class Google Folder, as daily note-takers, as website builders, wiki collaborators, etc. Once I introduced guided inquiry last year, I was astounded by the even bigger change in my classroom: my students were free to choose what they wanted to study--and how--so long as they met all the Common Core Standards involved and integrated technology in smart and appropriate ways. I found myself doing less and less photocopying, monotonous-style grading, worksheet-making and disciplining and realized that we were all actually enjoying the experience of learning together with me serving as more of a facilitator and feedback-giver than an actual leader in the room. This course has helped to solidify and validate those experiences for me, and I am excited to continue to incorporate these methods in my classroom. There is nothing more rewarding than watching all of my students somehow become leaders in their own right in my classroom and I intend to maintain an environment that continually allows that to be possible. In what ways can you expand your knowledge of learning, teaching, and leading with technology with the aim of increasing student achievement? I am a firm believer in collaborative learning, not just for students, but for teachers, too. I think we learn best with others and when we can see a variety of perspectives and ideas on something instead of just our own. I therefore attend many workshops and conferences outside of my district so that I can interact with professionals from all over the state or country and talk about Google, 21st Century Skills or other modern pedagogical tools and methodologies. I also enjoy working in PLCs with my colleagues and intend, as an instructional coach, to create more and more layered opportunities for PLCs to work together in my district. Finally, I love to hear the kids' input and do regularly ask them for feedback and suggestions related to their learning. Given that we are embracing 21st Century Skills, I can also see myself expanding from physically attending conferences and meetings like this to using Google Apps and other tools to virtually work with others. For example, I have recently begun sharing lesson plan templates with colleagues in my department and we have struck up a great conversation using Google's comments feature in Docs. We planned our summer assignments for students using the same method. In the same vein, I do truly enjoy my online learning experience with Walden. I meet a lot of people from all over the country and world and have had some really positive experiences interacting with them via email and discussion boards. For a while, I had some of the same people in my classes over and over and benefited from the fact that we all not only knew each other, but collectively knew the course content and program material as well. I am excited to continue on in my Masters Degree program for these reasons. As an instructional coach in my district, I have a lot of responsibility as a leader to expose my colleagues and students to technological tools and related skills. I plan to continue developing PD, teaching courses for my colleagues, integrating technology into my own lessons and modeling 21st Century Skills in guided inquiry style classrooms throughout the year. Set two long-term goals (within two years) for transforming your classroom environment by which you may have to overcome institutional or systemic obstacles in order to achieve them. How do you plan to accomplish these goals? My first goal is to get 100% of my students to participate in our BYOD program. This is a difficult goal because it depends on the financial situation of each family involved, as well as each child's ability to confidently use and benefit from a major technological tool. I have so far had about 60-80% participation in my courses and have been supplementing with desktop computers in the classroom when not all students have a device. Luckily, our district is constantly working to improve our wireless network and infrastructure and to allow more and more types of devices--including smartphones, iPads, iPods, Kindle devices, etc.--into the district network. I believe that if I can work to communicate with parents on an individual level via email and phone calls to explain what our goals are and how we use the technology, I can probably realistically get 100% participation rates within the next year or two, with those who are in financially dire situations qualifying for school-issued netbooks. My second goal is to fully transform my lower-level German 2 course into a mostly guided-inquiry setting. This is more challenging than changing my upper-level courses, as those students are voluntarily taking the classes and are juniors and seniors who care more about their performance in German. German 2, however, is a required course for graduation and as a result, I have much higher enrollment and a broader mix of learning abilities and styles in those classes. I would like to work with some of the English teachers and librarians at my school who are considered guided inquiry experts in an effort to successfully begin the process of changing my German 2 curriculum. I would also like to start thinking of some essential questions that I could model in each unit as a starting point. I believe that I could have fully functioning guided inquiry classrooms for all of my levels within the next two years. Refer to your checklist from Week 1. Have any of your answers changed after completing the course? My answers have not changed. I was able to answer "often" for all of the questions listed on the checklist initially, the reasons for which are explained in my answers above. I can still say the same now.